The fluorescent tube replacement by LED luminaires is limited by the output power of traditional fluorescent tube fixture, which is incompatible with LED tubes. The replacement of lamps has to be rewired to bypass the ballast. 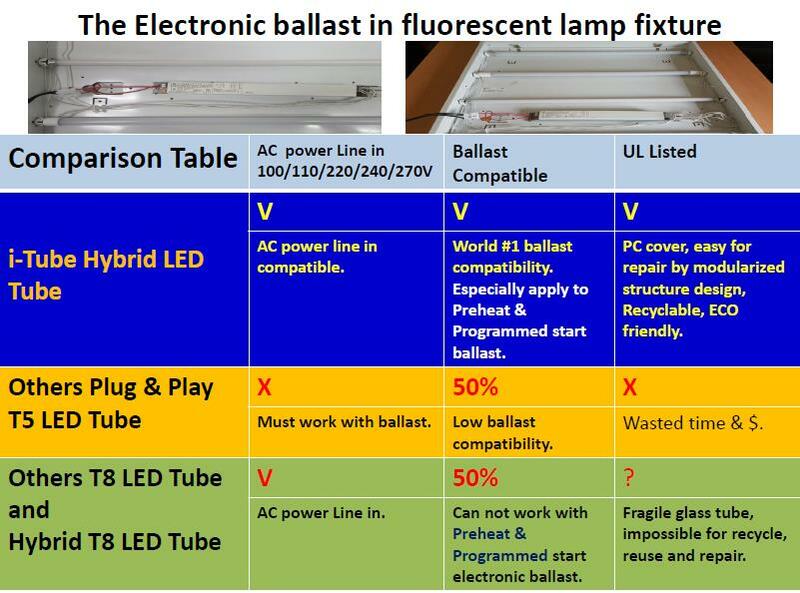 Therefore the penetration rate of LED tubes has been much lower than that of LED bulbs for many years. For newcomers, how to avoid the existing patents of compatible technologies is the biggest difficulty. According to LED professionals, in hybrid LED T8/T5 lamp power management technology, there are numbers of patented traps. It is also a must to have sufficient database for all kinds of electronic ballast compatibility testing. In particular, T5 fluorescent lamps that equipped with preheating and program-start electronic ballasts, so that more appropriate parameter settings are required to achieve the best result of energy saving and safety. Taiwan’s two major compatible lamp manufacturers, Grand Oriental Lighting (GOLighting) and Langjie Power Management Technology, have reached a settlement on the patent litigation. Taiwan-based Grand Oriental Lighting is an early developer of such products and has mastered key technology-related patents. The spokesman for GOLighting said that the crackdown on counterfeit goods will not be ended. The company holds specific evidence and information about other manufacturers in Taiwan, the United States, China, Europe and other places that use and sale products that infringe its patent. GOLighting will take legal action to assure the interests of all parties and maintain the innovative energy. According to the research report from Philips, there are still more than 12 billion mercury-containing fluorescent tubes to be replaced. 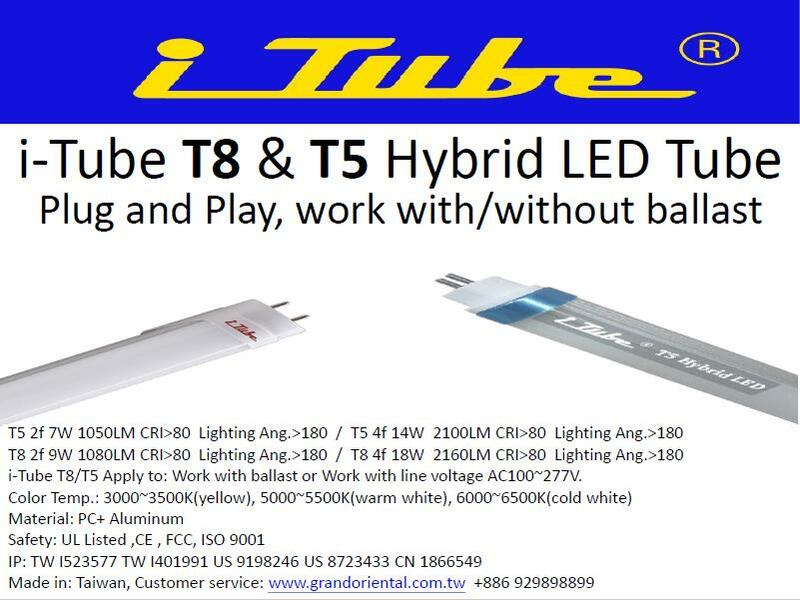 To save our planet, the company is pushing the replacement of fluorescent tubes with Hybrid LED tubes.